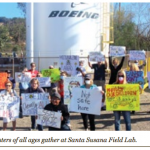 CBG is pleased to announce that the Santa Susana Field Laboratory Work Group is back and will hold it’s next meeting on February 5th at 6:30 pm at the Simi Valley Cultural Arts Center, 3050 E. Los Angeles Avenue, Simi Valley, CA 93063. CBG has been a member of the SSFL Work Group panel for over 20 years. The Work Group met quarterly as the primary way of keeping the public informed about efforts to clean up the contamination at SSFL, after decades of rocket testing and nuclear reactor development, including a partial nuclear meltdown. 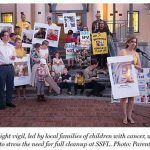 In 2012, the California Department of Toxic Substances Control (DTSC) discontinued the meetings, despite receiving a petition signed by over 200 people to re-instate the SSFL Work Group. 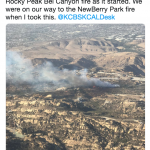 But with dedicated community efforts, and support from Congresswoman Julia Brownley and State Senator Fran Pavley, the Work Group will resume. For more information, visit the SSFL Work Group website and sign up to be on its mailing list to be notified of future Work Group meetings.